The big question is how will this release be implemented for existing online customers who have heavily invested in XRM implementations? Most customers need to develop, test and train before implementing the upgrade in Live instances. Will the upgrade to Orion (aka 2013) be an option to upgrade by a deadline (e.g. within 1 year of Oct 2013) or will be forced upgrade (e.g. in October 2013)? This info will come out closer to the release but more then likely will be similar to the previous 4 to 2011 upgrade arrangement, so yes probably a deadline of a specified time period. Staying inside the “supported” framework when building XRM should give you confidence, any areas outside of this should be identified ASAP to minimise pain later. Even if unable to resolve an existing function to the next version, at least trouble areas can be acted upon once the new update comes along and a resolution can be identified. I really hope this is the case and that Microsoft release information as quickly as possible on the upgrade timelines to allay the fears of many customers who need sufficient time to ensure the upgrade path through to live CRM Online instances is a business success. Is this going to be a rollup or is it a brand new application that will require upgrade projects? It is a new version, not a Rollup. 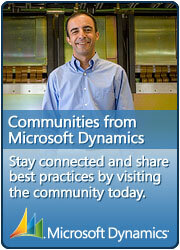 Rollups will still be released for CRM 2011 and CRM 2013 will have its own release cycles. When MS release the implementation guide and sdk for 2013 we will see how much effort will be required to perform the upgrades. It should be minimal effort if all customisations have been performed in the supported ways provided. Thank you for the clarification. I must admit that I’m excited and saddened by this as I was under the understanding that they were going to be just doing major rollups for 2011 and not building any new applications anytime soon.